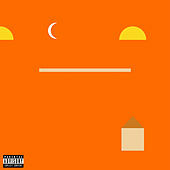 Detroit singer-songwriter Mike Posner took the unlikely route of promoting his work through rap blogs, leading music fans to initially mistake him for a rapper. But Posner is actually a pop vocalist who uses cutting-edge electronic sounds. He issued his first two mixtapes in 2009 while earning a sociology degree at Duke University. The first, A Matter of Time, was hosted by Atlanta rap DJ Don Cannon and featured guest spots from rappers Big Sean (who appeared on the original version of Cooler Than Me) and Donnis. The second, One Foot Out the Door, was hosted by East Coast tastemaker Clinton Sparks and offered collaborations with 3OH!3, Kid Cudi and Freddie Gibbs. Their cumulative online success led to a deal with J Records, which reissued A Matter of Time as a four-song EP in 2010. For his first national single, Posner recruited Gilgamesh to remix "Cooler Than Me," resulting in a sleek electro-pop hit. The new version sailed into the top ten of the singles chart, providing a perfect setup for Posner's first official album, 31 Minutes To Takeoff.